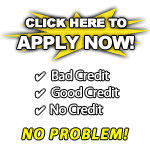 Credit Auto Sales is a friendly operated dealership located in Omaha, NE. We are committed to providing the best in honesty, integrity, and customer service. Our experienced sales staff is eager to share its knowledge and enthusiasm with you. As a family owned and operated used car dealership, we treat you like a part of our family during and after your car buying experience. Our in-house BUY HERE PAY HERE financing makes it easier than ever to get back on the road regardless of credit history. No need for us to run a credit check. Bring in your recent pay stubs, and we will use your job as your credit. Our friendly and knowledgeable sales staff is here to help you find the car you deserve and fits your budget. Shop our virtual showroom of used cars, trucks, suv's, and vans online, and stop by for a test drive. Thank you for the chance to be your used car dealership.